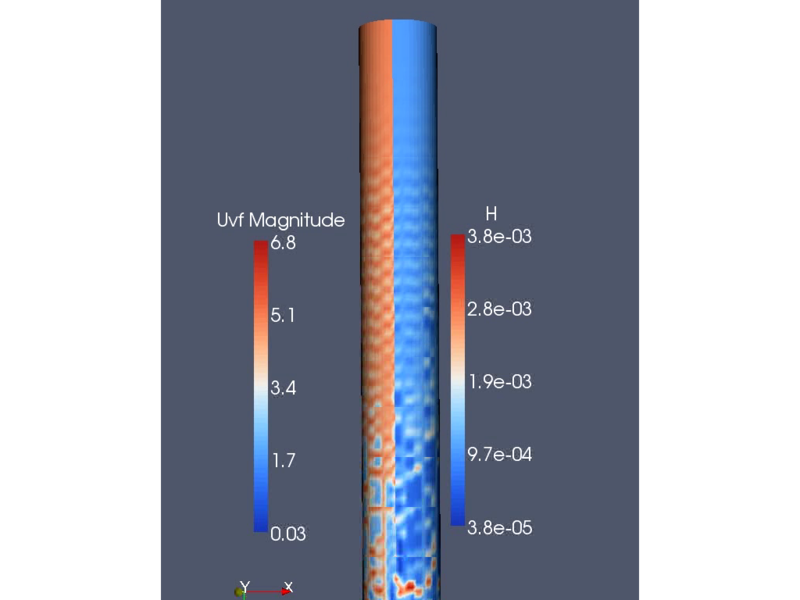 One can model liquid wall film using integral boundary layer type equations. 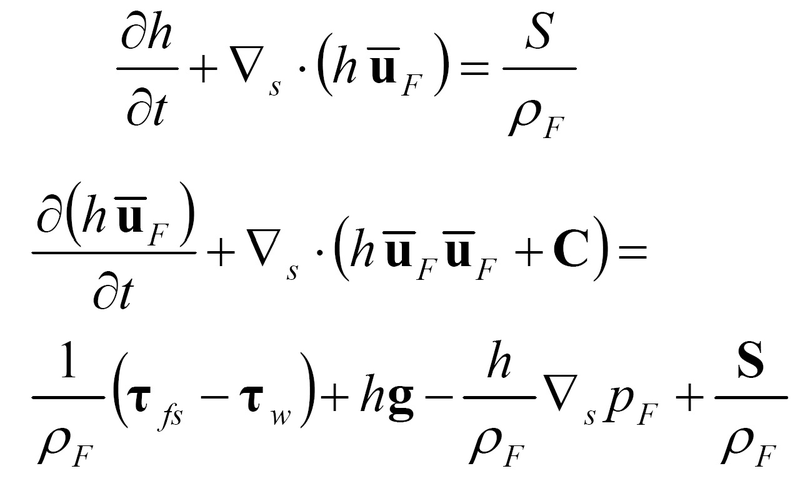 With the help of boundary layer assumption and integral method, the three-dimensional Navier-Stokes equations can be reduced to two-dimensional equations defined on the wall boundary. For the calculation of the shear stress terms and the convection correction tensor a prescribed velocity profile is used. The film pressure is assumed to be constant over the film height depends on the gas pressure , the capillary pressure and the droplet impact pressure. The film is coupled with the gas phase by the gas pressure and the shear force acting on the film surface . If a droplet impinges on the film, its mass and its momentum are transferred to the film.